Forget the ballgame ! 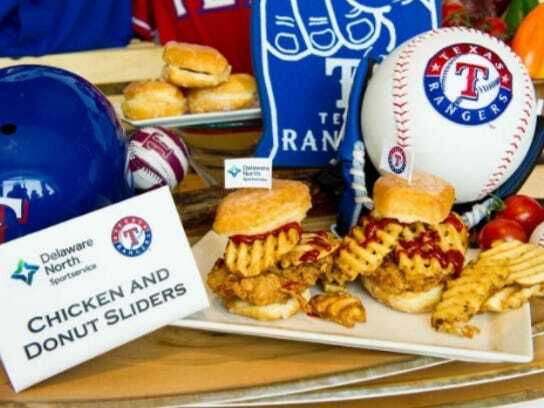 The Texas Rangers food menu is the real MVP ! Opening day is here and Texas’ two Major League Baseball teams will be opening the season against each other. The World Champion Houston Astros will take on the in-state rival Texas Rangers at Globe Life Stadium in Arlington. And yes there is talk about opening day rosters and a team’s chances at winning a championship. 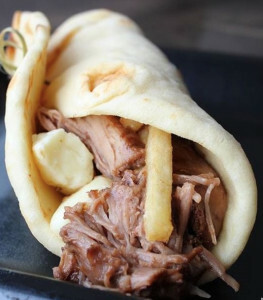 But what has fans attention on opening day – ballpark food. The same day the Astros and Rangers will face off, Globe Life Stadium’s concession stands will offer up some interesting fare. Or if you’re a cardiologist potential money in the bank. The “BOOMSTICK” – This monster 7-pound chili dog will test your food prowess and napkin strength. Question is, do you tackle it by yourself or with your group of friends at the ballpark? The “MVT” Dog – That’s the Most Valuable Tamale dog, featuring a tamale stuffed with a Boomstick hot dog. 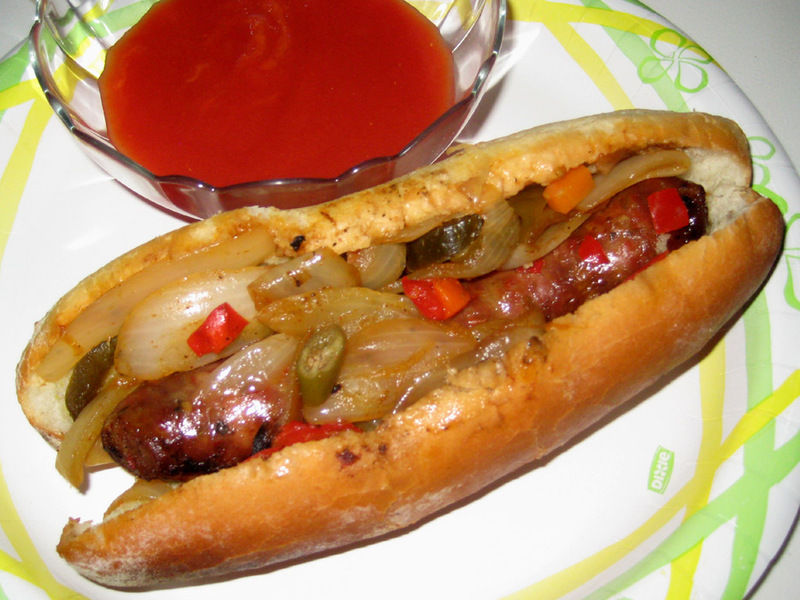 “The Dilly Dog” – DFW-based company Best Maid will provide a pickle for this as it is cored out and stuffed with a hot dog with a corn breading around it. The State Fair of Texas is famous for its corn dogs but this is another level. It will cost you $10. “The Triple B” – The combination of bacon, brisket and bologna on a bun with barbecue sauce. What Texan wouldn’t want that. Cost: $18. And finally, the “The 7th inning Cinnamon Roll” – A cinnamon roll is already good but now it’s deep fried and has raspberry sauce on it. Cost $10. That just scratches the surface as the new fare has captivated DFW media over the last week. With the Rangers prospects not too good this season, it seems the organization had to do something to get fans to the games. A Requiem to Old Ballparks ! If you write for a blog on a fairly regular basis, you will at times find yourself challenged to come up with the next idea to write about. This week’s post came to me while riding into work last week. As usual I was listening to music on my iPod on my 40-minute drive into work when a song came on that I hadn’t listened to in a long time since it’s not on any of my regular playlists. It’s a song by Frank Sinatra which he released in 1973 called “There Used to Be A Ballpark”. 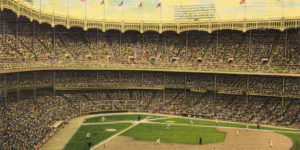 The song is written by Joe Raposo who was referring to the old Polo Grounds ballpark in Harlem, New York where the Giants played until 1957. 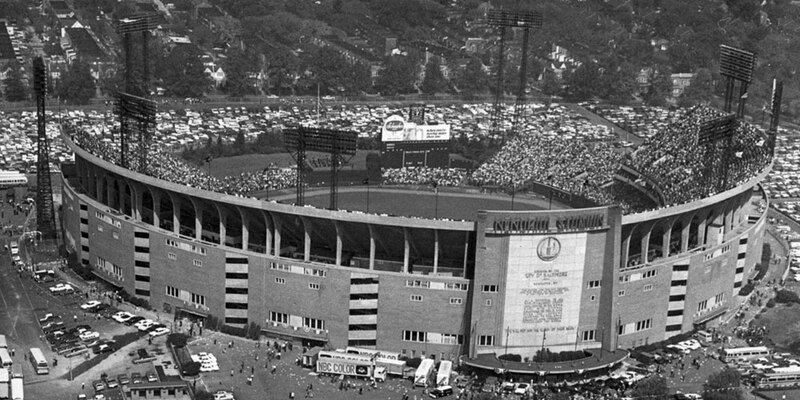 The Mets would go on to use the old ballpark for a short time while Shea Stadium was built. After that, the Polo Grounds would succumb to the wrecking ball. Sinatra sings this song beautifully and as you listen, you can’t help but think about a lot of the old ballparks, as I did on that morning riding into work. Ballparks all over the country play a vital role in helping communities come together to cheer for a common cause. Fans celebrate together and suffer together, all of which helps a community to bond, whether you are in a big city or small town. In fact, in small towns, it is often the main source of entertainment for much of the summer. We can hem-and-haw all we want about the justification for the costs of some of these grand structures but the payoff in pride and community is something that can’t be measured monetarily when looking at return on investment for a city or town. I’m sure you have heard elderly people talk about their memories of going to ballparks past and how special they were to them and how bigger-than-life they were in their eyes at that time. 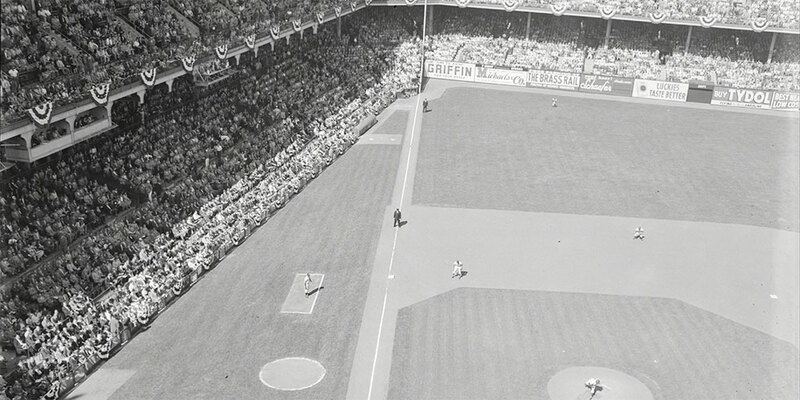 When you look at pictures of old ballparks, it is amazing to see just how grand so many of these were. It’s hard not to love an old ballpark and to harken back to the old days. Heck, it was an old ballpark, Wrigley Field, that inspired me to want to become a Major League Baseball groundskeeper. And I did. 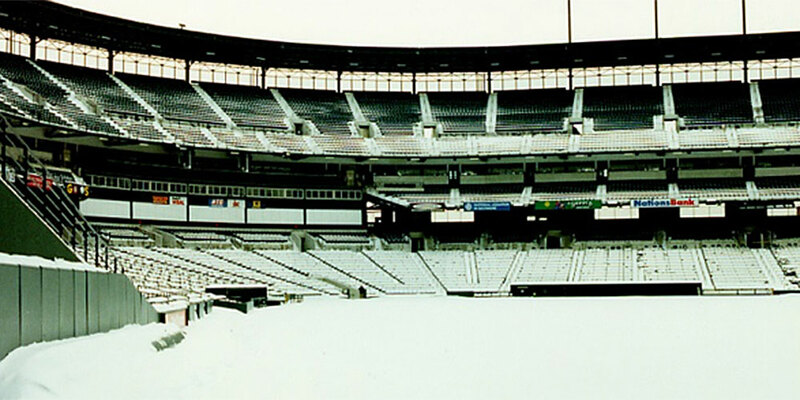 Then, I got my chance to shut an old ballpark down… Memorial Stadium in Baltimore. There are times when I remember back to many fond memories of my first six years in Major League baseball there. It was a very special place. Back in the day when baseball was much simpler. Thrift shop donation helps renovate ball fields ! Yellville City Parks Commission in Arkansas is pleased and excited to announce grant funding along with a matching private donation for a major renovation of the t-ball field in the Yellville Sports Park. The Parks Commission was granted $15,000 from the Rural Services Grant program late last year and that amount was matched with a donation of $15,000 from the Marion County Thrift Shop. Work to be completed will include fencing the entire field, construction of covered dugouts for the players, bleachers, sunshades and concrete pads and walkways for the fans. ‘The plan is to have all this work completed in time for this season’s play sometime around the first of May,” says Lyn Baker, chair and spokesperson for the Parks Commission. The Marion County Thrift Shop has also participated in funding the same quality of improvements around the other to fields and the Sports Park in years past. Look for Yellville City Parks on Facebook to watch the progress of this project as well as regular updates about the three parks managed by the Yellville City Parks Commission. Spring Fever & Your Ballfields ! March Madness is here! But, I’m not talking about basketball. I’m thinking of the mad rush to get ballfields up and running for the season after a long winter’s nap. Now that it’s March, coaches and players all over are preparing for the upcoming baseball and softball seasons. If you play in the northern or eastern two-thirds of the U.S., you are familiar with the winter we just battled through. 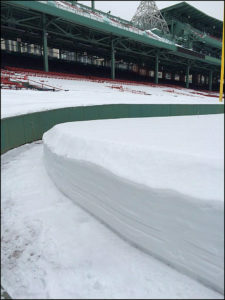 While ballfields in the south are coming to life as the crack of the bat is echoing through their parks, we in the north may be suffering through fairly deep snow cover and frost levels and the coaches are getting itchy. 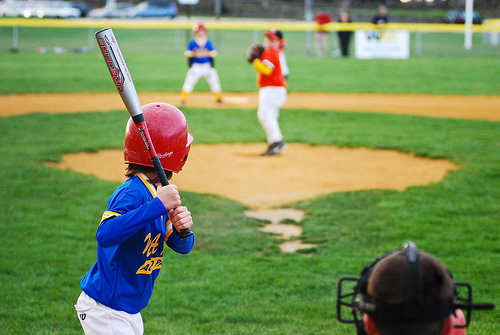 Opening up your ballfield for the season in these climates must be done carefully in order to avoid damage to the playing surface ahead of the main season. The tips that follow should help you to get your field underway as quickly as possible with the least amount of damage. If snow is covering your field and the coach demands that they absolutely need to get out there, you can work to remove the snow off the field. It will take equipment, manpower and time to get it done. Unless, of course, your field is in the path of the nor’easter, like the Boston area. In that case, nothing short of a miracle will be needed this year. Use plows on the grass that have either rubber scraper blades or use some type of pipe horizontally across the base of the plow to greatly reduce the potential for turf damage. If the snow is deep — 3-4 inches or more — be careful trying to push too much off at one time, you could begin to spin your wheels which could severely damage the turf underneath. When your field is snow free, wait until the field has lost all frost in the soil profile before attempting any work on the skin portion. If it’s too soft to walk on, you, nor anyone else should be on it. The field may look bone dry in the early morning because it is frozen, but as the sun heats the surface the infield skin can become a quagmire as the frost in the ground prevents the free water on the surface from draining through. You’ll know when the frost is out of the ground as the infield skin portion will drain fairly quickly and begin to dry off on the surface and firm up in the strong March sun and wind. If your field is in the northern part of the country where you get a depth of frost each year in the 3″ or more range, Mother Nature’s freeze-thaw cycle has naturally aerated your soils and opened up a tremendous amount of pore space in the soil profile. This natural aeration is fantastic for your turfgrass on the field but not for your infield skin surface. That pore space on a skin surface will fill with water on rainy days which will slow the skin from rapidly recovering after a rain event. By rolling the infield skin surface once it has dried enough to get equipment on it, you drastically reduce the pore space in the infield surface which seals the field back up so water will run off the field more efficiently. Fields without snow cover were at the mercy of the strong winds that come with the season. The strong winds can blow soil, drying agents and topdressing materials into the lips of the infield skin. These lips are natural dams impeding water from moving off your infield skin surface. Be sure to clean or edge out all lips to allow water to freely drain off the surface of the infield skin. Keep some calcined clay drying agents around for those emergencies. But if the puddles are large or deep, then use a Beacon Puddle Sponge or a Puddle Pump to remove excess water leaving just very shallow wet areas where drying agents can then work their magic. If past winters have taught us anything, it is to always put your ballfields to sleep in the fall ready to play. You’ll find it makes your ensuing spring prep much easier. You can confidently get the coaching staff and their team out on their fields much more quickly. Spring weather should finally begin to shift northward next week across the eastern two-thirds of the country. Those of you in the south are probably relieved that you don’t deal with the cold, snow and frost. As a northerner, though, I’ll gladly take some snow and cold as an opportunity to catch a little break in the action as opposed to dealing with fire ants, mole crickets, excessive heat and a location where there are events on my field all year long… but then again, that’s just me! Good luck to everyone in preparing your fields. County approves $37M sports park ! When it is complete, the project, located on 210 acres on the east end of Panama City Beach within the Breakfast Point development, is proposed to consist of an outdoor field complex, an indoor sports center and a new elementary school. PANAMA CITY, FL — A new sports park on the Beach that is projected to bring in thousands of visitors each year should be open by next spring. The Bay County Commission on Tuesday gave the final approval on the project, which is expected to cost about $37 million. The first phase consists of 13 fields, including eight rectangular fields for soccer, lacrosse, rugby, football and flag football, as well as five collegiate-sized baseball and softball fields. When it is complete, the project, located on 210 acres on the east end of Panama City Beach within the Breakfast Point development, is proposed to consist of an outdoor field complex, an indoor sports center and a new elementary school. The Convention and Visitors Bureau is trying to secure Triumph Gulf Coast oil spill funds for the indoor center. The commission had three final votes to get the project off the ground Tuesday, voting to give Phoenix Construction a $23.7 million contract to build the park; modify and transfer an agreement with the St. Joe Co.; and hire Compass BBVA for financing. The county is borrowing up to $35 million from a bank loan to pay for the park and is getting a 4.05 percent interest rate on the 15-year note. The county’s 5 percent bed taxes, paid by people staying in hotels, generates about $18 million to $20 million a year, and it has been continuing to increase as more hotels are built and more events are held on the Beach. 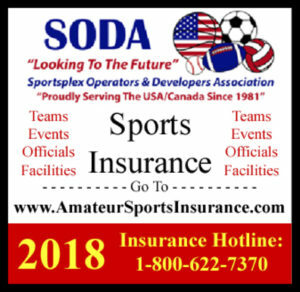 The annual payment on the sports park bond will be about $3.1 million, which officials estimate to be less than 20 percent of what the bed tax will generate. “That is more than enough to pay the debt service” on the loan, said County Finance Director Ashley Stukey. The resolution the commission approved pledges bed tax revenues as the funding source for the loan payment. “This resolution states that if the (bed) tax were to go away, the county is not obligated to pay the debt,” Stukey said. But Bay County Clerk Bill Kinsaul said if there were a default on the loan— which he could not envision happening — it potentially could hurt the county’s credit rating. Kinsaul said after the meeting that three-fifths of the bed taxes aren’t pledged to projects, so there should be plenty of bed tax money to pay off the loan. “That’s why we are getting this interest rate in this environment. We have a great rating, a great revenue stream,” he said. 5 Sales Tactics That are Sure to Be Effective ! Finally, one of the most important sales tactics involves doing something to set yourself apart.And, not just setting yourself apart from the competition we mentioned, but across the entire board. Be the first website to offer amazing refer-a-friend initiatives, or the first local business to donate profits. Do something that makes your customers say “wow,” and you’ll see that they’ll be eager to buy from you. Completing a successful sales cycle can only happen when every step of the process goes according to plan. If there are parts of that process that are not given the appropriate attention or resources, sales can fail. One aspect of the sales cycle is the potential customers themselves. After all, without buyers, there are no sales. Company leaders, therefore, need to spend just as much time on their prospective buyers than anything else. And, being sure which people to focus on and which people to not focus so much on, helps make that cycle finish faster. So, who do you focus on? There’s a lot of conversation regarding which type of people companies should be reaching out to. For instance, should the focus be on old customers or new ones? Customers who have purchased goods or services from your company in the past are guaranteed to do so again. The key word here is “guaranteed.” Sure, while customers return to places they like all the time, that generally applies more to restaurants, nail salons, and car mechanics – not so much for online companies or small businesses with a heavy online presence. Think about it. If you buy a necklace online from a website like Etsy, you may visit the website again, but probably not the individual seller. If you book a vacation online through a small travel agency, you may use them again, but likely not for a while. And, if you hire a web designer to do your website, once the job is done, you won’t necessarily need them again. While you shouldn’t completely ignore your previous customers, it’s okay to passively engage them while you focus more attention on other things. Other things being your qualified leads, instead. The sales cycle can run quickly in today’s world with how businesses are being conducted. These days, people can find almost any good or service they need with a click of a button. However, these people still have their own criteria for judging a business before going forward with a purchase. With the rise of marketing automation, better and faster email marketing strategies, and social media marketing, business leaders can bring in leads very easily. Leads who know what they want can tell pretty quickly if you’re trustworthy and transparent. Also, marketing automation software makes it easy to determine a lead’s engagement with your marketing campaigns. Therefore, you know who to focus on, and who can be placed on the backburner. Sometimes, it’s the previous customers who end up on that backburner more than anyone else. Qualified leads are more likely to convert when they’ve already shown significant interest. Using a combination of software and strategies, you can know which leads are qualified and how to hook them in before it’s too late. Previous customers are just as important as qualified leads. However, it’s okay to take a look a closer at your own business model, what you’re offering to people, and who is more likely to buy from you. Is it those who have bought from you before and are happy with what they’ve received or is it those who desperately are in need of your goods or services and are willing to buy immediately? Depending on your business model, it could be the former. But, in many cases, it’s the latter. That being said, previous customers can still help you out a lot. They can refer your business to others. They can write reviews on websites, or may choose to buy goods again for friends or for themselves, if relevant. But, for the moment, those who have still yet to experience all you have to offer are more likely to buy than previous customers who are already satisfied. Put the attention on those qualified leads, and you’ll have a successful sales cycle. Additionally, be sure to maintain the relationships you have with previous customers. This will help create a healthy balance all around, which will benefit your business if leads start to slow down. As the calendar turns from February to March, we also say goodbye to Meteorological Winter and dive into Meteorological Spring (March, April & May) — the three most tumultuous months of weather across the United States that test the patience and skills of many sports turf managers. 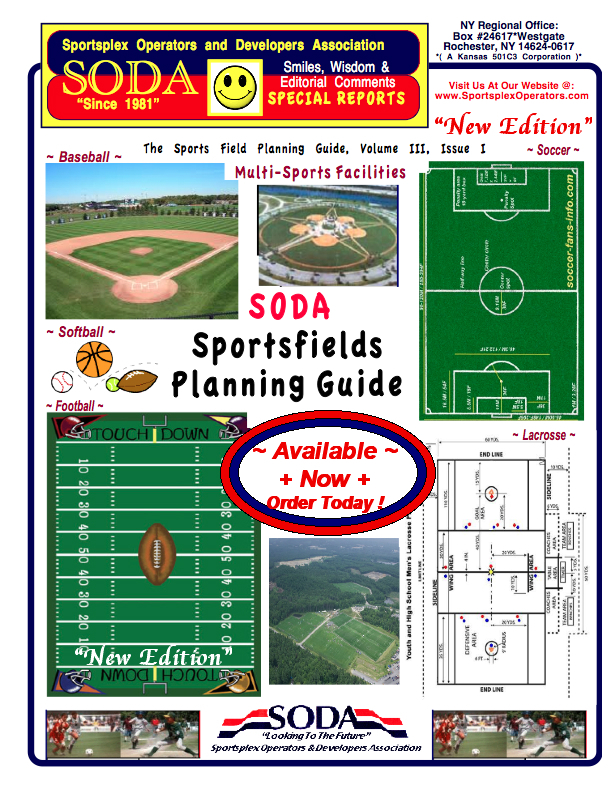 Late winter snow storms, frost depths, Bombogenesis Nor’easters, severe storms and tornadoes, heavy rains, and most of all, flooding, all work against the sports field manager to meet their deadlines to have their fields up and running for the spring sports season. Of all these weather events though, none is more damaging and debilitating than a major flood on a sports field. 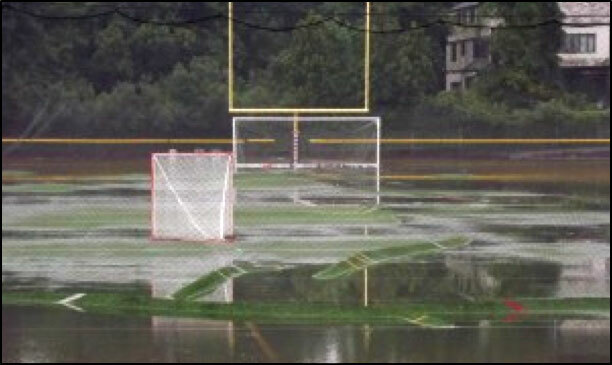 It doesn’t matter if you have natural or artificial turf on your field, a flood is likely going to mean a whole lot of hard work ahead. There are two primary types of flooding. The first involves a constantly moving body of water across your field. 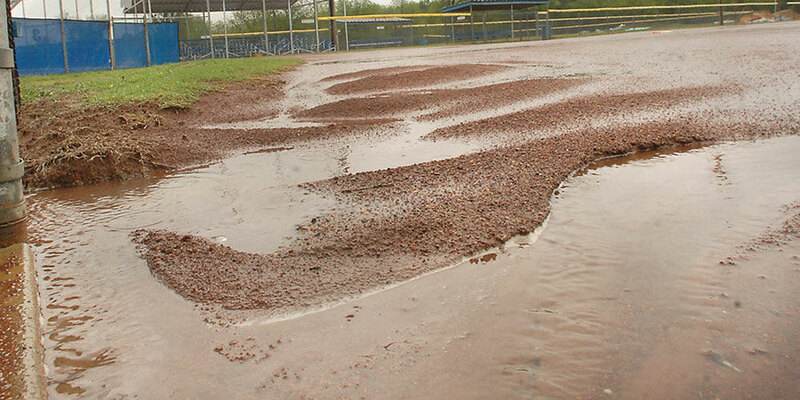 While this can reduce the amount of sediment that will settle out on your playing surface, it could also wash out your skinned infield if you have a baseball or softball field, depending on the speed and movement of the water. Moving water can also do tremendous damage to artificial turf by floating the turf upward and then pushing it into ripples or piles on the field surface. The second type of flooding involves the rise and eventual fall of a fairly stagnant pond of flood water. This type of flooding will likely deposit a layer of silt and clay wherever the flood water exists since there is no current to keep the silt and clay suspended. This layer can suffocate turfgrass and seal up even the best drainage systems depending on how thick the layer is and how quickly it can be removed after the flood event. THE GOLDEN RULE: Stay off the field until all water is off and the ground is firm enough to support motorized equipment. Remove all large debris left behind by the flood. 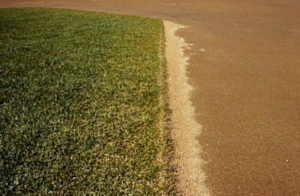 If sediment was deposited on the field, remove as much as possible on both grass areas and skinned infield areas. Scoop up and then wash off any remaining sediment on the turf blades immediately before the sediment dries too much. With the majority of the sediment removed, cultivate the field to further remove and dilute any remaining sediment. Aerify with hollow tines. 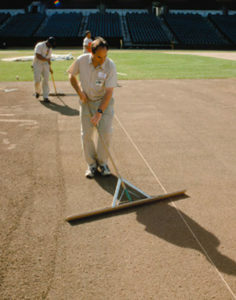 Collect the cores and apply topdressing using clean soil that is identical or slightly more coarse than existing soil. Drag the topdressing in and finish with a nice roll to ensure a smooth playing field. If the turfgrass was badly damaged from the flood, then overseeding or sprigging in concert with the aerification process is the perfect answer to thickening your turf back to it’s previous glory. A flood will leach vital nutrients out of the soil. Remember to temporarily amp up your fertility program to build your nutrients back to proper levels for your turf and to assist the turf stand in it’s recovery. Flood waters can transport billions of weed seeds. Regularly scout your turf areas as recovery progresses. Chemically treat only if needed. As your turf stand recovers, the increased turf density should out compete most weeds. If flooding occurs during warm and humid weather, be alert for elevated disease activity due to ideal conditions and if possible treat preventatively as the existing turfgrass that survived will still be working to regain it’s strength and vigor. 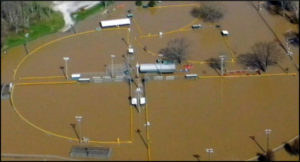 If you maintain an artificial turf field, flooding likely did some serious damage. Be sure to consult with your insurance company. Much of the remediation and repair may well be covered. But even then, it will still take an extended period of time to put the field back into play and make it safe for usage. Be sure to conduct a drainage analysis to gauge the status of the usually extensive drainage system. A certified installer for the type of turf system you have should be involved in evaluating what steps are needed to bring the artificial surface safely back on line. Most importantly, after you have gone through an event like this at your facility, conduct a review of the event to identify what could have been done differently in the future to minimize damage to the facility and to ensure the safety of all who work and play there should a similar event happen again. Write up a plan, distribute it to all involved, and be sure that each person knows their responsibility to protect life and property. 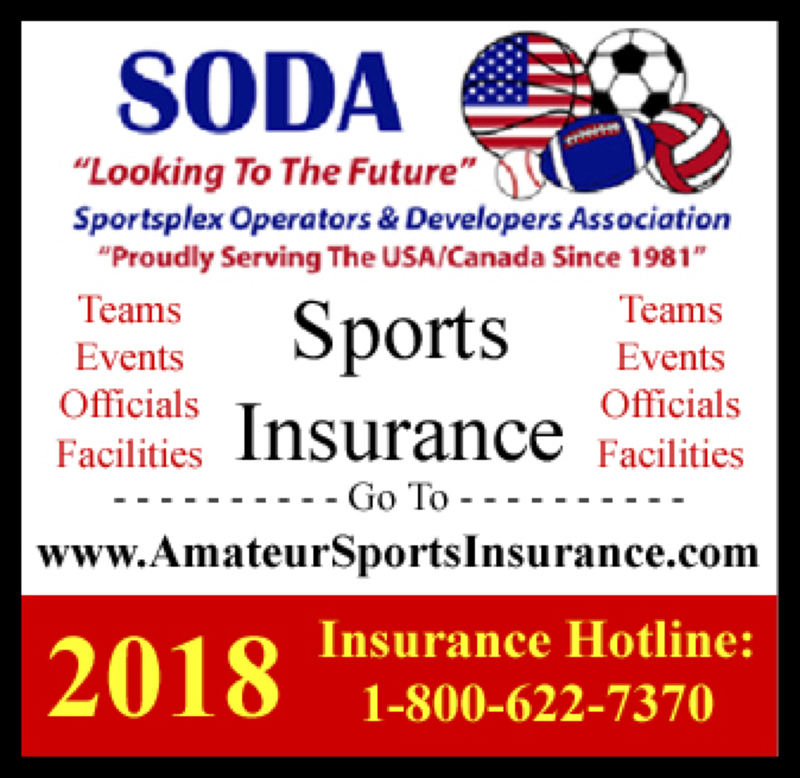 The National Sports Turf Managers Association (STMA) and it’s charitable wing, the SAFE Foundation, have issued an excellent 5-page bulletin dealing with flooding on sports fields. Some of which was used for this blog. 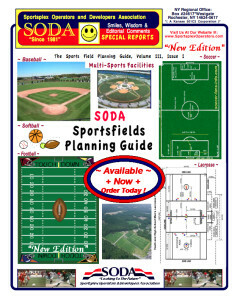 Follow the link below to go to this well thought out information piece for sports fields managers and good luck during the sometimes violent spring weather season ahead.